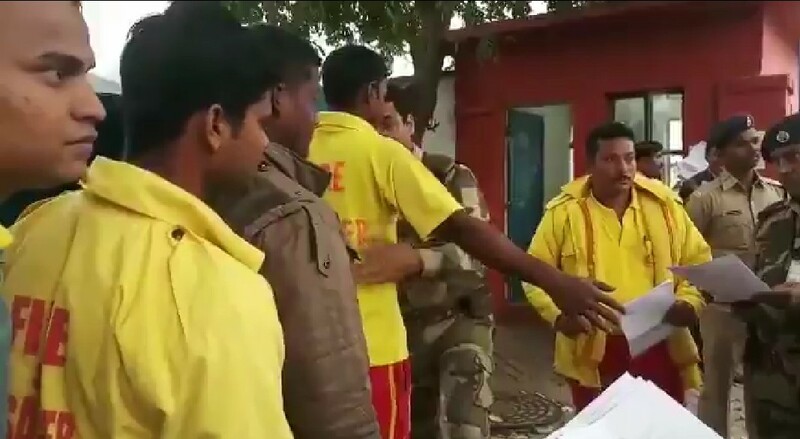 ONI Bureau: A 20-member Odisha Fire Services team led by CFO Sukanta Sethi is left for Meghalaya in a special aircraft to help in rescue operations to save 15 coal miners who have been trapped since December 13. The team will be equipped with high-powered pumps that can pump out 1600 litres of water per minute. Earlier, Union Home Ministry had sought Odisha government’s help in the rescue operations due to its expertise in dealing with such crisis. At least 15 people are trapped in a rat-hole illegal mine in Meghalaya’s East Jaintia Hills since December 24. The rescue personnel have been unable to draw water from the mine to save them. The Meghalaya Govt sought external help after divers at the site detected foul smell in the cave, raising concerns it could be from decomposed bodies. However, there is no confirmation on it as some experts believe the smell could be from stagnant water too.